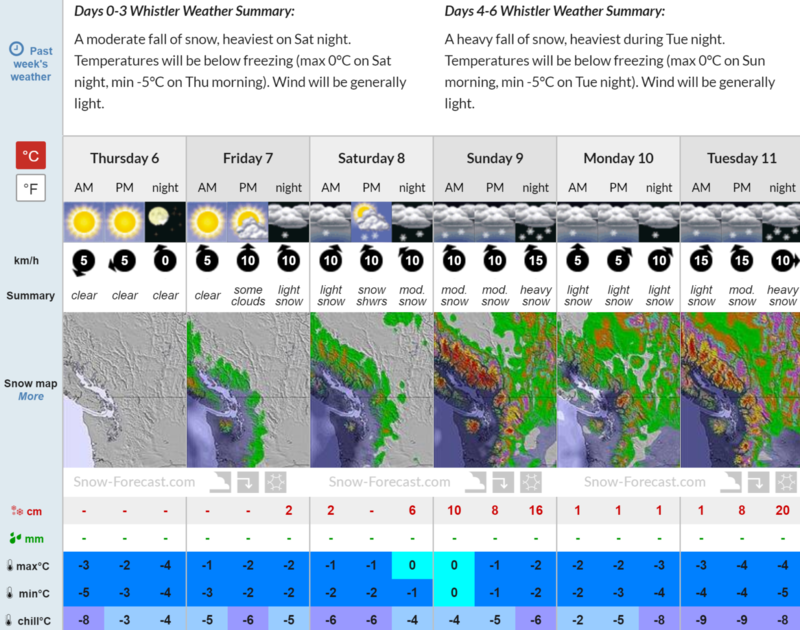 It’s early December and Whistler Blackcomb’s forecast is looking GOOD for the foreseeable future. It’s calling for cold temperatures, low winds, and heavy snowfall Friday – Tuesday. The heaviest snowfall is forecasted to fall on Saturday night and Tuesday night. 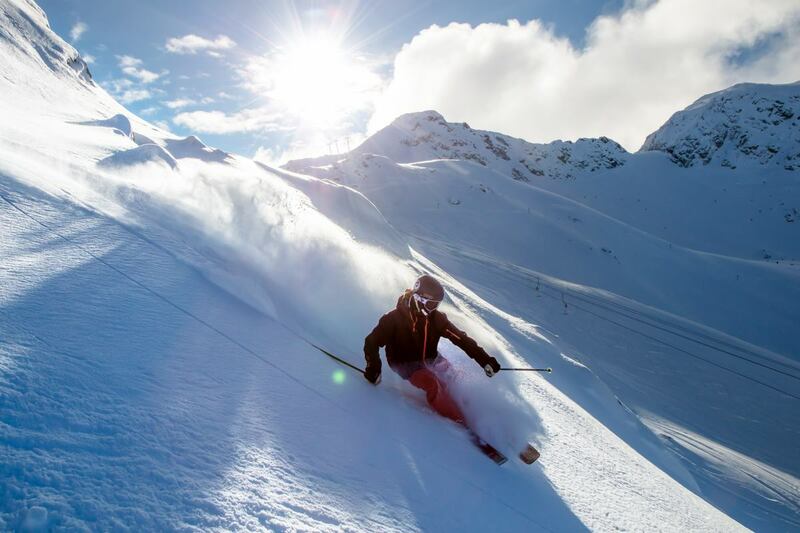 Whistler Blackcomb opened for the season on November 22nd, 2018. 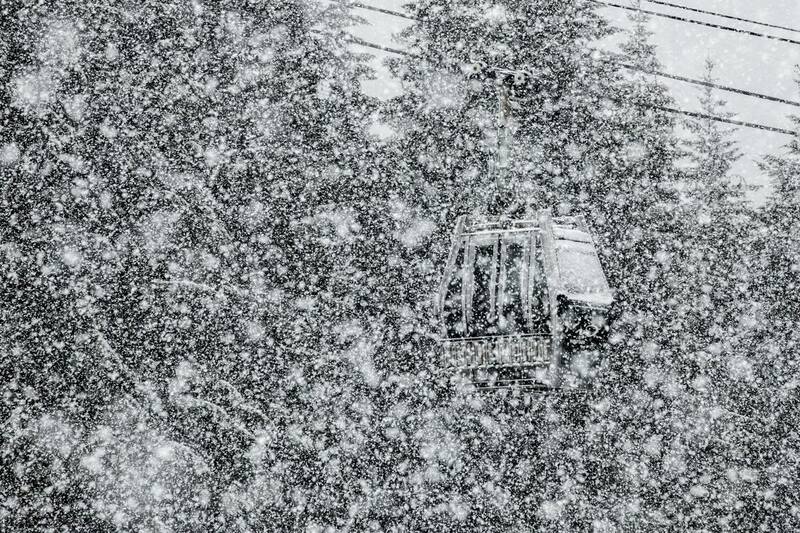 Snow levels are expected to hover just above the base of Whistler Blackcomb (653m) Friday – Tuesday. The area may see a mix of snow and rain, but most of the accumulating snowfall will occur above the bottom fourth of the mountain. 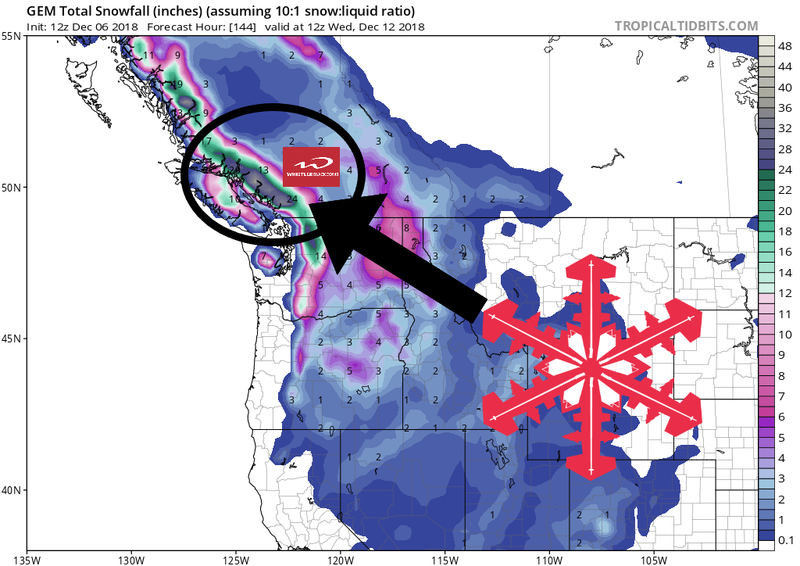 The forecasts for Whistler Blackcomb, BC are calling for 30″ (76cm) of snow Friday – Tuesday. This would really kick-start the ski season at Whistler. The heaviest snowfall is expected to fall on Saturday night and Tuesday night. Temperatures are forecasted to stay well below freezing throughout the storms.